The workshop costs £20 to attend and is suitable for all coaches and Pony Club volunteers. Full details are on this page: http://www.pcuk.org/index.php/safeguarding/safeguarding_and_protecting_children_workshops/safeguarding_workshops/. Wonderful day today. 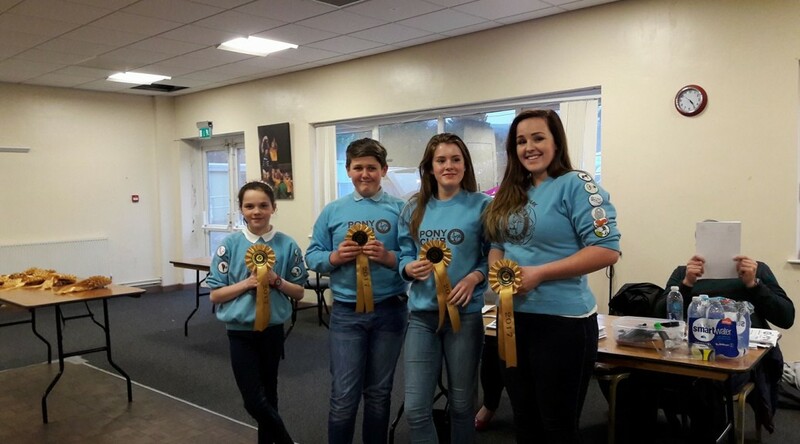 We went to the pony club NFU quiz at Eirias park. Our teams came 4th, 3rd and 2nd/reserve champion. Well done all our members and a big thanks to Kiki who has trained them! Thankyou to mums, Nains and dads who supported today. Massive congratulations to our Pony Club team (Seren, Edward, Erin and Abi) who won the Area 5 Qualifier for The Pony Club National Quiz. 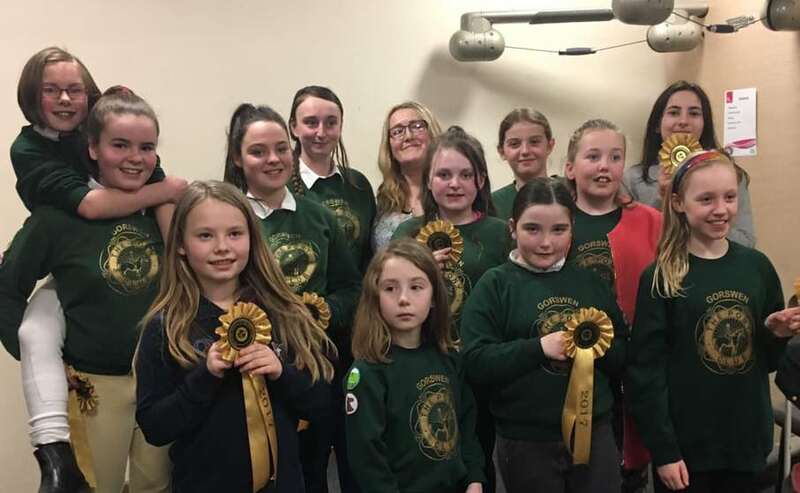 This is the 4th consecutive year we have won and we wish our team the very best of luck at the National Quiz final at Addington Manor next month! Looking to buy or loan 14hands (approx) pony for a tall 11 year old. Good allrounder, nothing strong or silly, good to shoe/clip etc and no vices. Safe to handle is imperative. My daughter loves to take part in all East Cheshire PC activities, local shows, farm rides, general hacking and is wishing for a bigger pony, she has outgrown her current pony and is now ready for a new one to enjoy and have lots of fun with! A loving family long term home awaits, please contact me as follows. Just outside Alsager we currently are without a pony and so Amelia is desperate to find her next 4 legged friend. I am looking for a 13.3h-14.2h pony for my 11 year old daughter who is a confident and a fairly competent rider, but is quite petit and so would struggle with anything too strong or too chunky! She loves to attend PC rallies and compete – particularly show jumping but would love to try some Eventing and WH classes too, so a pony well schooled on the flat as well as over fences is a must. As well as competing she loves to spend time grooming and fussing in the stable. She also loves to hack, go on fun rides trips to the beach and the occasional hunt. SAFE! No rearers, buckers, spinners or bolters! A brave sensible head is a must! Forward going and responsive from the leg (we’ve done our time with pony club kickers). While we love to hack out with others, we would like to be able to hack alone (usually with me walking by the side) around a village location, so he/she must be used to a variety of traffic, including tractors, lorries and buses. Ideally our next pony will have been there and done it, will be able to teach and look after an enthusiastic child, be aged around 7-10 years old, be fit and ready to get going. In exchange we have a relatively healthy budget, and will offer a 5*home. We would also consider a loan pony, or lwvtb but we must be able to move to our yard.